A wedding is the most important day in a person's life because from this day onwards, you always have a partner by your side. The day is equally important for both the bride and the groom but more than often, it is the bride who steals the limelight. But at times, the grooms are well prepared and give tough time to their better halves. 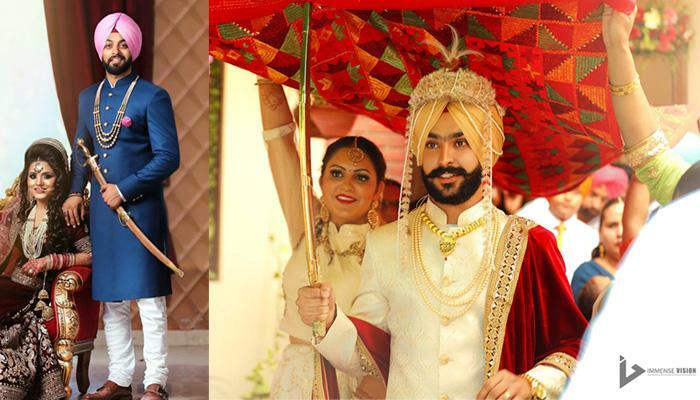 One look at these stylish Sikh grooms and you won't be able to take your eyes off them. These Sikh grooms are a perfect blend of style and confidence. 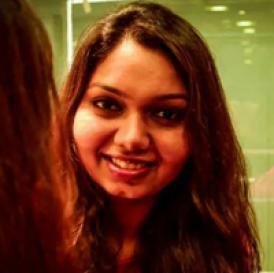 Have a look to get enchanted by their charm. #1. Light pink turban with pearl collar is all you need to look dashing on your big day. Those strings on the turban are giving the whole look a princely touch. #2. Can anyone beat this groom in style quotient? The eccentric colour combination and the expressions on his face are working well for him, aren't they? #3. In his gold and red attire and a sword in his hands, this groom is ready to embark upon the most important journey of his life. #4. This groom has brought royalty along with him on his wedding day. The boldness of red on his printed sherwani look perfect. #5. When you know that your future holds nothing but love and happiness, you look this confident. #6. Despite looking like a true king, this groom knows that everybody bows in front of the God. #7. With rays of colours on a simple background, this groom mixed the traditions with the modern fashion. The result was amazing. 8. When simplicity is all you need to look stylish. #9. This groom is a living example of the Sikh swag. With the maroon and golden attire, he is ready to rule the world. #10. The intricacies of this wedding outfit of the groom is what even the brides would envy. #11. With the lightest shade of gold and the deepest tone of red, this groom is all smiles while walking towards his bride. #12. The grace in the combination of this cobalt blue bandhgala and the light pink turban is hard to find anywhere else. #13. When it comes to stylish grooms, this one is unparalleled. The deep set colours of his attire spell love. #14. In the classic red and white combo, this stylish groom is getting ready to marry the love of his life. #15. In the deepest tones of blue and red, this groom is confidently looking forward to meeting his partner for life. Feeling inspired? These picture perfect grooms are ready to grab every eye. They all look effortlessly amazing. Whether with the bright tones or with the deepest colours, they know how to express themselves. So, all the grooms-to-be, this is how you can make a style statement on your D-day!